Protecting your family, colleagues, business and property, are the core elements of strong security and as at the 1st July 2016 it is law to install smoke alarms in all tenanted properties. We can install and deliver these for you. For complete fire safety at home and around the office, invest in our advanced products. We provide photoelectric smoke detectors and alarms, providing comprehensive peace of mind. 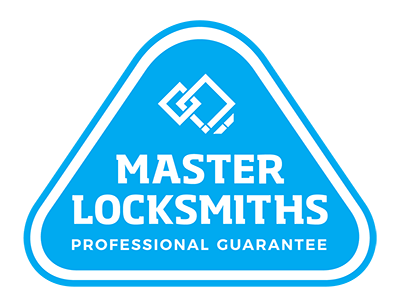 Couple your stringent procedures and conversations about fire danger with the best solutions from Local Locksmiths. With leading products in fire safety and security, you can trust the fire alarms and smoke detectors that we provide. If you’re looking for a product for a specific area or purpose, simply have a chat with us and we can help you out. Alternatively, explore our range below to learn more. Complete fire safety starts here. Call us on (09) 536 5050 or 0508 LOCKSMITH (0508 562576) for your smoke alarms today. 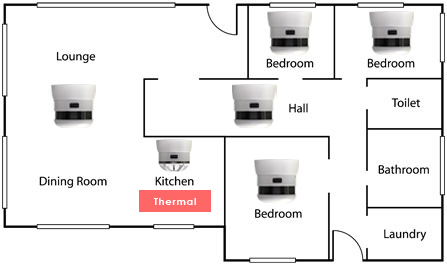 Where do I put the smoke detectors and how many smoke alarms do I need? On the 1st July 2016, a law change to the tenancy act means that landlords and tenants both have responsibilities to make sure smoke alarms are installed and working. There are two questions that we are commonly asked by rental agencies and landlords. There are two possible answers to these questions and it will depend on whether you want to cover off the minimum requirements by law or if you want to protect your investment and do the right thing by your tenant by following recommended guidelines set by the New Zealand fire service. What’s recommended by the professionals? The residential tenancies act sets out the minimum requirements for smoke alarms and smoke detector placement, however the professionals recommend more smoke alarms and smoke detectors than the minimum requirement. 1. That smoke alarms are installed in each bedroom and within 3 metres of each bedroom door. These recommendations are not a regulatory requirement, but it seems sensible to consider their professional recommendation. Installing more than the minimum requirement, means more chance of protecting both your investment and the tenants! Given that 25% of all fires start in the kitchen, we also recommend the installation of a thermal smoke detector in the kitchen area. A thermal smoke detector avoids the false alarms often associated with burning the toast or steaming pots, and relies instead on heat to trigger the alarm. What are the minimum requirements by law? The Residential Tenancies Act covers the minimum requirements. A minimum of one working smoke alarm within 3 metres of each bedroom door or every room where a person sleeps. In a multi-storey or multi-level home (including split levels), there must be a smoke alarm on each level or storey. The same requirements apply to boarding houses. All smoke alarms must be installed in accordance with placement requirements identified in the manufacturer’s instructions.